Tasted at the Cabernet Sauvignon Collective held at Lanzerac this week, we were so impressed with this wine. We were invited to a master class of some older wines paired with their current iterations. Put this wine into context: we tasted this with seven other wines, all of which were very noteworthy. The winemaker, Rudi Schultz, took us through the tasting and we were able to taste the 1995 Cabernet first. 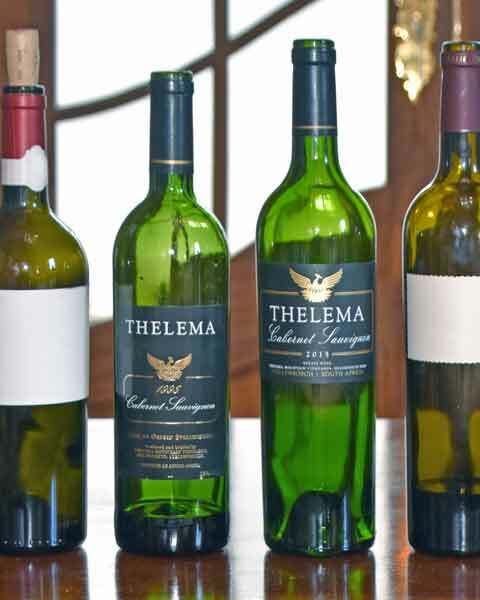 If you are into good Cabernets, you undoubtedly will know it as a classic but you might not be aware that there are now two separate vineyards of Cabernet Sauvignon at Thelema. Yes, they have kept the old vineyard block where they grow the famous Mint Cabernet. This is from the newer site, where the vines are 12 to 15 years old and they have planted 2 new clones. The vineyard is also higher up the mountain.